Few luxury sedan models make it past a year or two in the modern automotive business. The Chrysler Concorde is a best seller for its luxury and its engine power. Chrysler engineers put several years of development into making sure that owners of the Concorde received power and dependability. Chrysler achieved this goal with this car and other Dodge cars that have been produced in the last 20 years. We have used and remanufactured Chrysler Concorde 3.5L car engines for sale. This gives you the variety that you ask for with an even lower price than what you have found browsing online. All of the Chrysler engines that we have in stock are as close to buying a new one that you will find. There are other Dodge cars apart from the Concorde that share its 3.5-liter engine. The V6 power is hard to deny and the fuel economy for this sedan-based engine is excellent. Popular models like the New Yorker, Avenger, 300, Challenger and the famed Eagle Vision all use the 3.5L Chrysler produced motor. We have the Dodge motor that you are searching for and work hard every day to find the lowest price. Our used and rebuilt engines are priced fairly and we even have lower than national average shipping costs. Proper testing can make or break any type of engine. We understand and know the value of properly testing the motors that we sell to the public. We would never install an untested engine into our personal vehicles. We use the same integrity for the Dodge engines that we offer for sale. Our testing procedures include inspections by our trained mechanics as well as computer controlled testing. The results of each of these tests are compared and evaluated. We know instantly if there is something that is not working right or if something was not described accurately by our distributors. Engines that are used are tested and put into our inventory for sale if they are judged to be perfect. Engines that we remanufacture are tested both before and after the rebuild is completed. This double assurance guarantees that what you purchase is what you actually invest in when our engines are shipped to you. Our freight department does an excellent job storing and shipping out engines from our packed warehouse. Our engines are loaded around the clock and shipped out to destinations across the country and to foreign countries. Customers respect what we do around the world and we earned our engine selling reputation. Our V6 engines are perfect in every way for the type of engine that you buy from our company. 1-877-630-3873 is our www.carenginesforsale.com quote number. 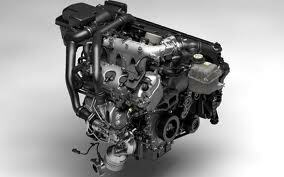 Call it now to obtain our 3.5L engine price. You will find it is pretty low and will give you the price savings that you demand. We use an online quote system to help make it even easier to get a price from us. Give us the simple details of your engine and your email address. One of our experts will send your Concorde engine quote fast.